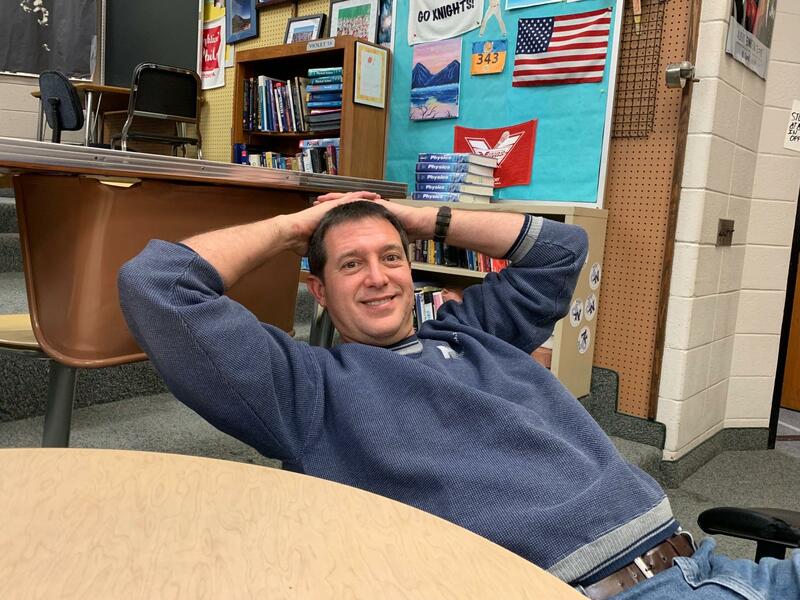 Mr. Young lounging in his classroom, C039. TOWAMENCIN- The aura of room C039 holds a story in itself. 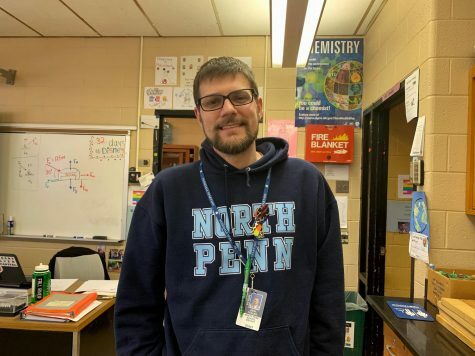 With miscellaneous items from plants, to a bird cage, to a giant moose in the back, this classroom is just one out of the many things that contributes to North Penn High School Physics teacher Christopher Young’s life story. Young’s story begins after transferring from Taylor University to Temple University. Initially majoring in computer science, Young decided to pursue physics after realizing that computer science wasn’t the path for him. “I find it very interesting. I like to figure out how things work and computer science back in those days—you didn’t have personal computers so you had to go to a computer lab on campus. Every Saturday, you would start lining up at six in the morning if you wanted a spot in the computer lab because there was only 25 computers and there were 30 computer majors. If you could get there right away, then you spent your whole Saturday into the night on those computers,” explained Young. After he decided to pursue physics, Young added on education, administration, and got his principal’s license. Though he later learned that becoming a principal wasn’t the route for him. Prior to going into college, Young took a year off. Once he enrolled, Young was in college for a total of 13 years. “I had a very good paying job as a restaurant manager so I was making a lot of money, I fell in love and had to support my wife, I had kids, and I bought a house. I could really only go to school part time. I just kept plugging away until I finished,” said Young. Unlike many college students, Young was able to get a good paying job and make a lot of money. But even before that, he was successful in getting a job to pay for college. “I worked in a slaughterhouse. 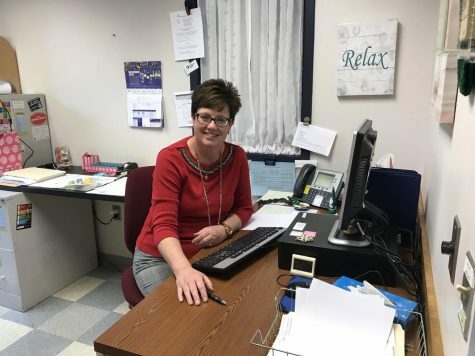 It was interesting, it makes you appreciate college more when you look at the alternative jobs out there,” said Young. Despite spending most of his early life in college, Young appreciates the fact that he was able to do so much more than most people. 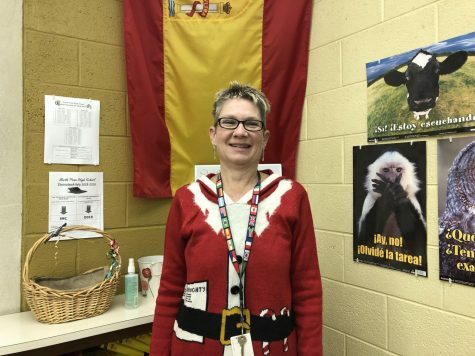 He traveled to foreign countries and because he was a part of the foreign exchange program during high school, he had the opportunity to keep in touch with many friends abroad. He went to Denmark and stayed with his one friend for 14 days and they all came to the U.S. and stayed in his house. He also vacationed in Cancun, the Bahamas, Bermuda, and France. During college, Young struggled to fit in to the college life since he was working 50 hours a week and there weren’t that many students taking a physics major. 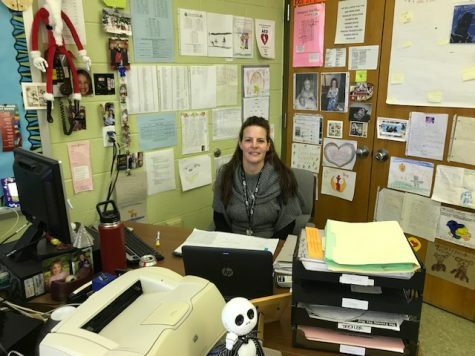 “The kids I started with in college were long gone and graduated by the time I graduated. I didn’t create that many friends because I was just part-time in a commute. 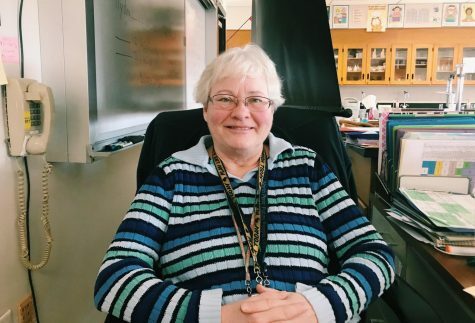 You go to class and you leave right away so it’s not like you hang out with those people,” said Young. Soon, Young found an interest in becoming a teacher and along with that he began to coach various sports. 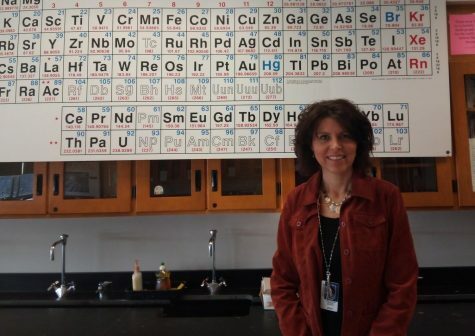 “I can’t see myself locked in a laboratory doing research in a cubicle all day long. When I was in college, I got into a lot of youth programs. I was coaching sports like street hockey, roller hockey, ice hockey, soccer, lacrosse, and baseball.” remarked Young. When he started at North Penn High School in 1996, he was coaching for youth lacrosse in the North Penn area. Then when his kids came to the high school, he was the coach for Junior Varsity boys lacrosse team but since his both his son and daughter began to play for North Penn, he stopped coaching to watch their games. Eventually, the girls lacrosse team needed a coach so he filled in as their coach for 3 years. Then the Junior Varsity team needed assistance so he agreed to coach again. He is currently the coach for boys lacrosse. Before realizing that he wanted to become a teacher, Young dreamed of becoming an astronaut. 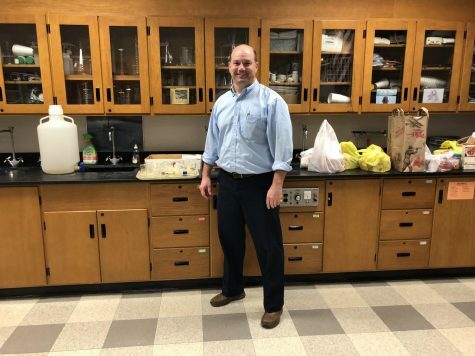 Though he was unable to follow through with his dream career as an astronaut, he felt lucky that physics set him apart from other teachers as there were not many physics teachers out there. He managed to get a long term substitute job before he graduated. He was asked to be interviewed by a school before he was able to finish college and they wished to have him as soon as he was done. Now with 4 kids and a wife who is 1 of 10 kids making his son the thirty-third grandchild on that side of the family, Young’s family, of course, does a lot of family related things. “Our kitchen table seats 20 some people and we have big dinners all week long. We had 13 people over for dinner the other night,” noted Young. 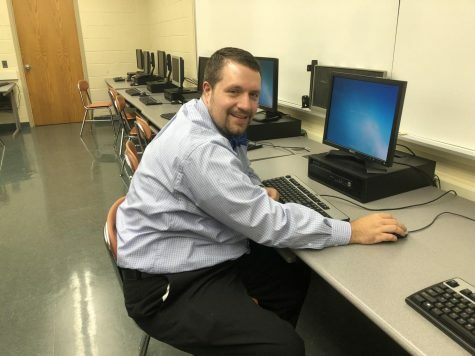 When Young got his job as a teacher at North Penn, he went through an interview with many teachers and they narrowed the amount of teachers down to 3 and he was one of them. They couldn’t decide on who to pick so all 3 of them to come back and take a physics test. Whoever got the best score got the job and soon after, the job was his. 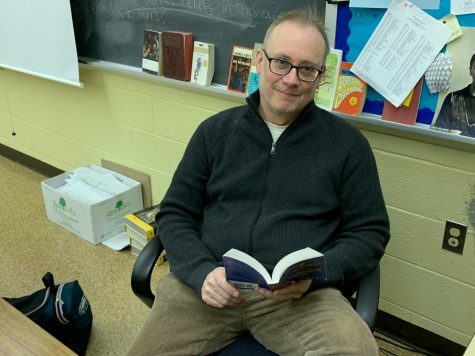 While teaching at North Penn, Young has created so many cherishable memories that it’s difficult for him to narrow it down to one favorite one. 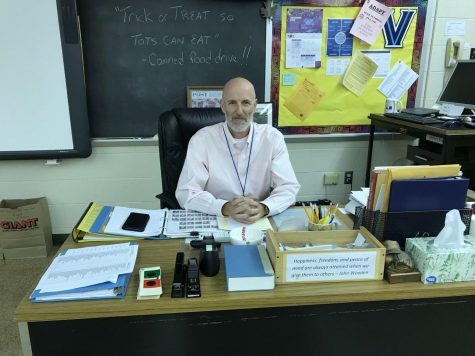 As a physics teacher, clearly Young hopes that his students retain at least some information throughout the rest of their lives and learn to apply it in everyday life. “Physics is everywhere in life, you can’t hide or run from it,” said Young. Young appreciates the littlest things in life like receiving letters from students from the past years. Those moments make him the proudest as a teacher. “I’ve gotten some letters from graduates. I got an email from [a student] with all of these attachments and he was working on a space shuttle. He was an engineer that was designing special pieces and he sent me all of these pictures of him in the space shuttle as it was being built,” said Young. Young mentions that his students must always remember that you must make sure that the career you decide on is something you love and not for the money. At the end of the day, happiness can mean more than money and perhaps even more than the world.